Product #6309 | SKU 1094385 | 0.0 (no ratings yet) Thanks for your rating! 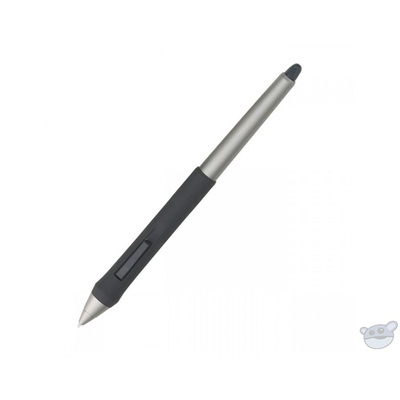 With 1,024 levels of tip and eraser pressure sensitivity, the Grip pen gives you precise control over your work. The cushioned, contoured grip with programmable DuoSwitch is comfortable to use and will improve productivity. The patented cordless, battery-free technology provides a natural feel and superior performance, and the multi-position pen stand is included to keep your pen handy. There are three nib styles included for a variety of "feels," and the grip pen also provides tilt sensitivity for even more control.